All is as usual in Doha. Traffic is mostly very intense. No matter what time of the day you are out on the roads you have to count with a lot of cars. the good thing about the traffic here are the roundabouts and at the lights the green light is there for like an eternity. There is kind of a flow all the time. It is just amazing how well all works. I read so many blogs about the traffic here being insane and crazy. I lived 5 years in Italy. There the amount of cars in the cities is about the same, the roads are tiny and narrow, the cars are like little Lego cars. Here you have big, enormous monster cars, big and wide roads and just all these brilliant R/As. Fantastic! Come on rest of the world. Come to Doha and check out have you should organize your traffic. Sports is a part of our daily activities here. There are so many people doing sports here. 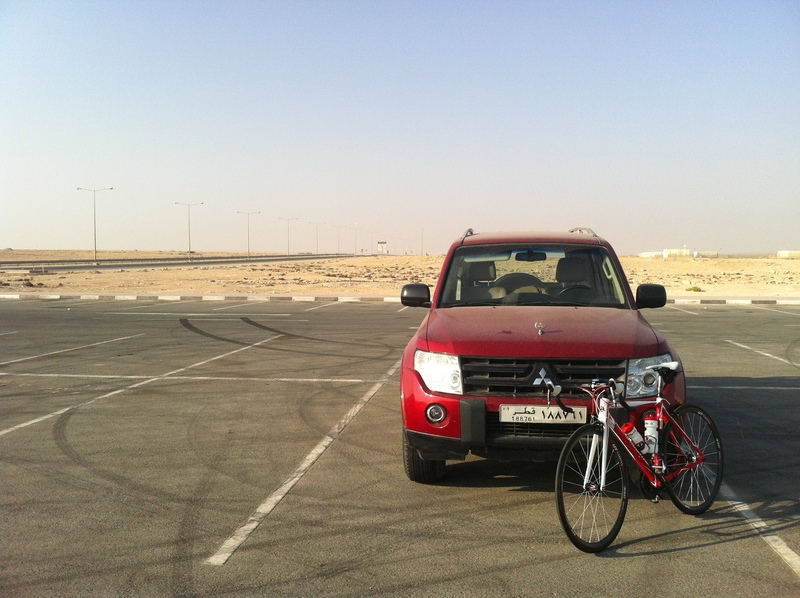 It is great to have the Lusail Service road, where you can ride your bike in the evening. We are also thinking of starting our roller ski sessions soon. Just waiting for the temperature to drop under 20C, then it is just too cold for cycling 😉 Funny how quickly you get used to warm weather. When the temperature drops under 30C it actually starts to feel a bit chilly. When it is 27C you can turn off the AC in the car. You have AC everywhere, so it is kind of living in a fridge. The swedish society is very active here. They organize Christmas parties, desert safaris and are also very active in different sports. I also met some Finns here. Also there is a Christmas party and an independence day party coming up. As you notice, there is no time for us to get bored here. We are starting to have so many activities here, that we already have to start and cut something away.